The Liver contributes dramatically to the body's ability to digest and utilize nutrients. Assessing the efficiency of the liver's function is extremely important. Our FREE questionnaire contains questions for the Liver, Adrenal and Myelin. The liver helps regulate hormone levels. A weak liver often causes breast and menstrual problems in women and prostate problems in men. A healthy liver helps keep up the "Good" cholesterol (HDL of at least 65) and keeps down the triglycerides (preferably under 100). Chemical or food sensitivities or allergies are often due to a weak liver being overwhelmed. Since liver produces bile salts and enzymes for digestion, bloating or gassiness might occur. Blood sugar is balanced by the liver as much if not more than the pancreas. If the liver releases too much sugar, type II diabetes might develop and not enough sugar is called hypoglycemia. The liver cleanses itself between 1 and 5 AM. A liver which is weak often wakes people up during this time. So, if you don't sleep the whole night through without waking up for any reason, I would support the liver nutritionally. Moles, age spots, and skin tags often develop on those with a weak or toxic liver. One with a healthy liver usually has one bowel movement for every meal they eat. 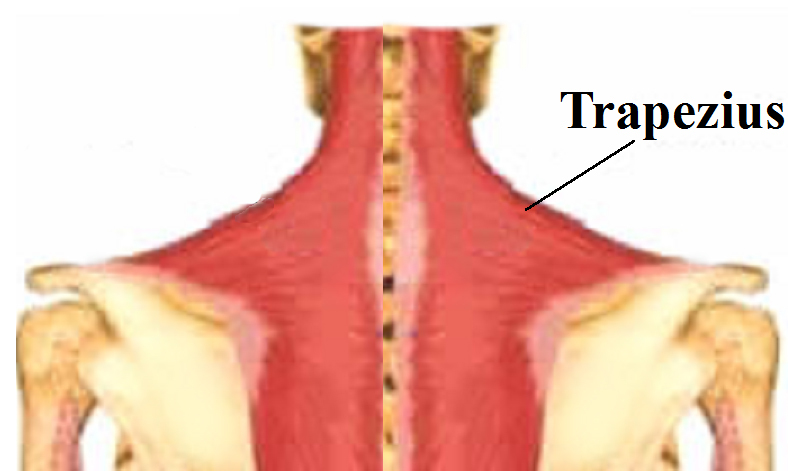 Tight muscles in the trap (see reddish muscle on picture below) are a typical weak liver sign. If you have any of those symptoms, chances are your liver is not working efficiently and can effect your ability to recover the health of your nervous system. NOTE: The medical profession is inempt in determining any liver condition short of a disease. I would use symptomology and not rely on medical tests alone to determine if supplementation would be helpful.